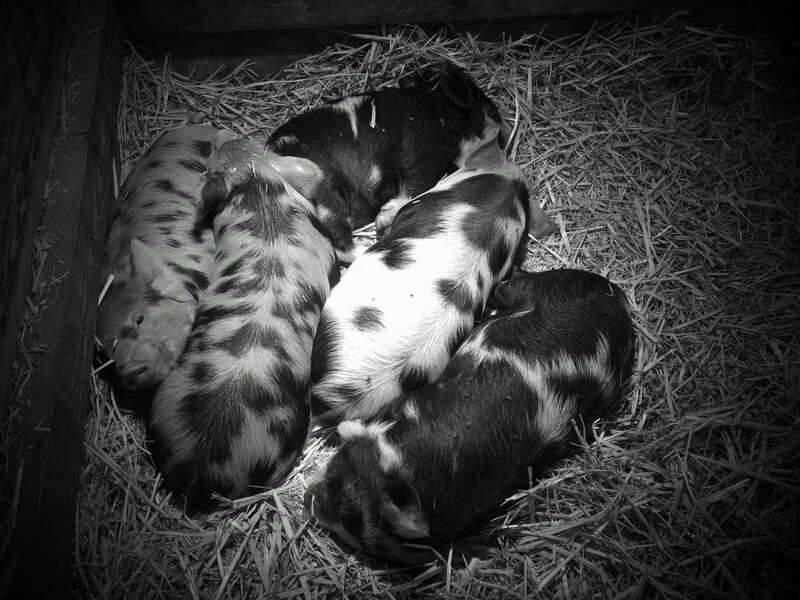 All of the piglets from the September 2015 litter have been sold and will go to their new homes in mid-November! They have also all received their permanent names from their new families, replacing the baby names we have been using. Wow! they all are purchased and going to the same home? That’s amazing and wonderful. Congratulations! Hi Cathy! Two of the piglets are going together to their new home in Roseville, CA and the other three are going together to their new home in an orchard in the San Francisco Bay Area.